Like having fun and making friends? Then Camp Quinebarge is the place for you . For over 80 years campers have been making friends and having the time of their lives at our summer oasis. Campers from all over the world and all walks of life make friends, have fun and create memories that last a lifetime. 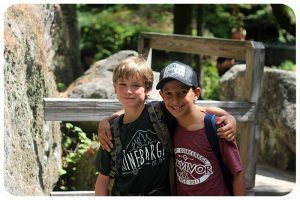 Our unique program gives campers control of their own schedule, from boating to archery, tennis to wood shop and so much more! 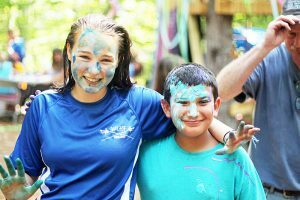 Our diverse staff are trained in all aspects of camp leadership, running activities, and how to work with kids of all ages. 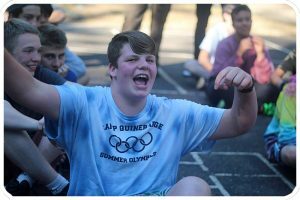 A combination of all these things make Quinebarge one of the best camps in New England for young campers. Every Sunday morning, campers set up their schedules for the week. At Quinebarge our campers decide what they want to do. We have found that there are many qualities to this approach of our program but the main one is our campers have a ton of FUN learning and growing in areas that they are interested in. We encourage and help our youngest campers with choosing their schedules. Here at Quinebarge we find that honesty is the best approach. Most campers at some point get homesick, it is completely normal. Luckily, our staff is trained on how to recognize homesickness quickly and help your little camper move past it. Normally most campers are over their homesickness in a couple hours. Most of Quinebarge’s campers come for 4 weeks or more. For our younger campers we offer a two week session. For younger campers two weeks is the perfect way to start their camper career . Not too long and not too short.